I arrived in Wellington on my own as the other three girls I was travelling with had already toured the North Island and we were suppossed to meet in Wellington the next day. 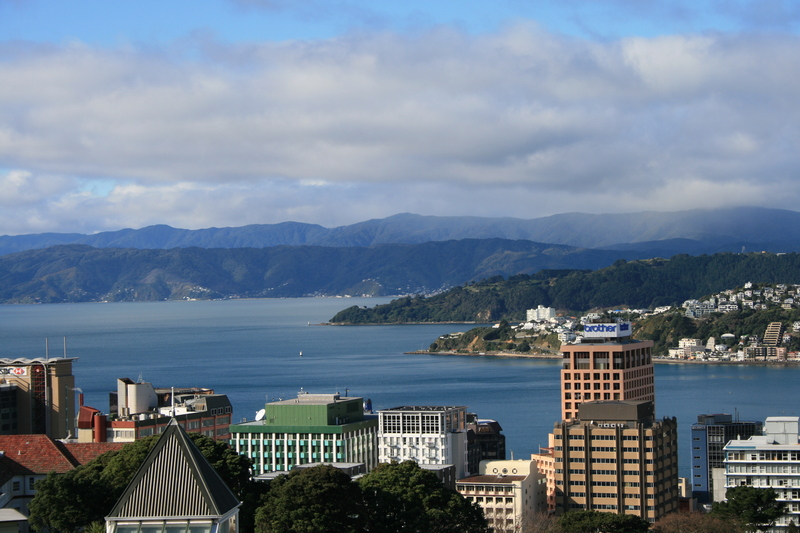 I took the bus into town and to be honest, I had to look into my guidebook to make sure that Wellington was really the capital of New Zealand because it just didn’t look like it. It just looked like a mid-sized town on the sea. 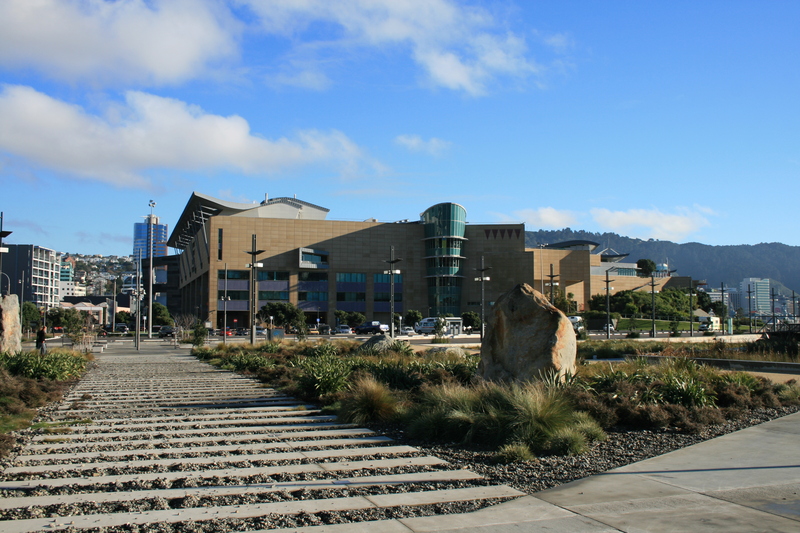 The first thing I did the next morning was a trip to the Te Papa Museum, the museum of New Zealand on the waterfront. The admission is free and it is a very interesting place. It shows the history of New Zealand: the landscape, the animals, the people. It was one of the most interactive, child friendly and interesting museums showing general information I have ever been too. You can really spend a whole day here if you have the time. The next day we did some sightseeing. 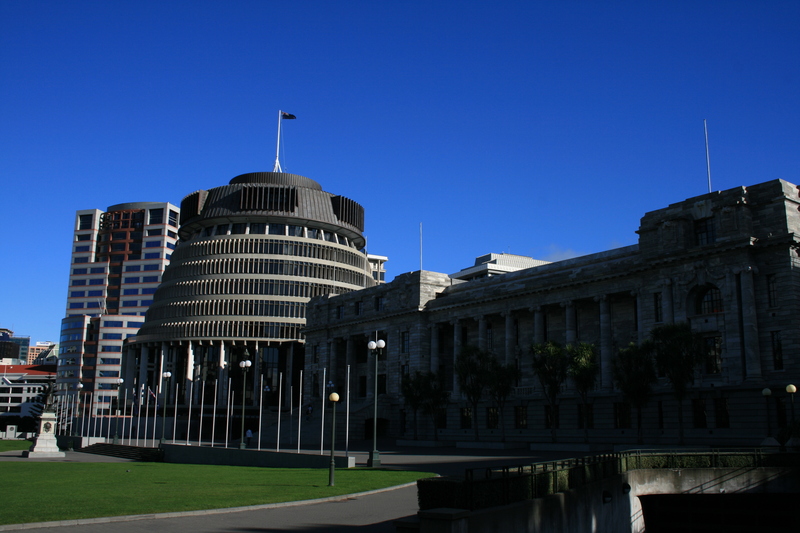 We took the famous Wellington Cable car up the hill to have a look over the city and then walked back down to the government building, a modern building just next to historic ones which makes it stand out even more. I can’t really remember where we ate. I guess nowhere fancy as we were on a tight budget. But Wellington is supposed to be a good place for fine food. Have a look a t Wellington’s Tourist Page for more information.They seem to list a few pretty nice restaurants. The budget was also the reason why we stayed in a hostel. We stayed in the Nomad’s hostel near the waterfront. It was a really good hostel. And as Nomad’s is a chain, we decided to make a booking before hand for the Nomad’s in Christchurch which was not a good idea but more about it in a few days. Two days was definitively enough for a trip to Wellington. It is not a very big city, not too exciting but nice and has a great museum. And it is the perfect point to cross from New Zealand’s North to its South island. And that’s what we did but more about this ferry ride tomorrow. This entry was posted in New Zealand and tagged Museum, Wellington by kathatravelling. Bookmark the permalink.